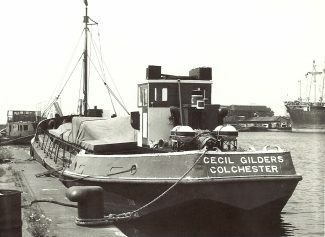 The small coaster CECIL GILDERS in Tilbury. Good photo, Jack. There were often “interesting” small ships berthed here and there in Tilbury Dock, and CECIL GILDERS seems to be at the end of the quay between the central and western arms. The vessel is not as old as it looks at quick glance, and it is still afloat (for some of the day at least). 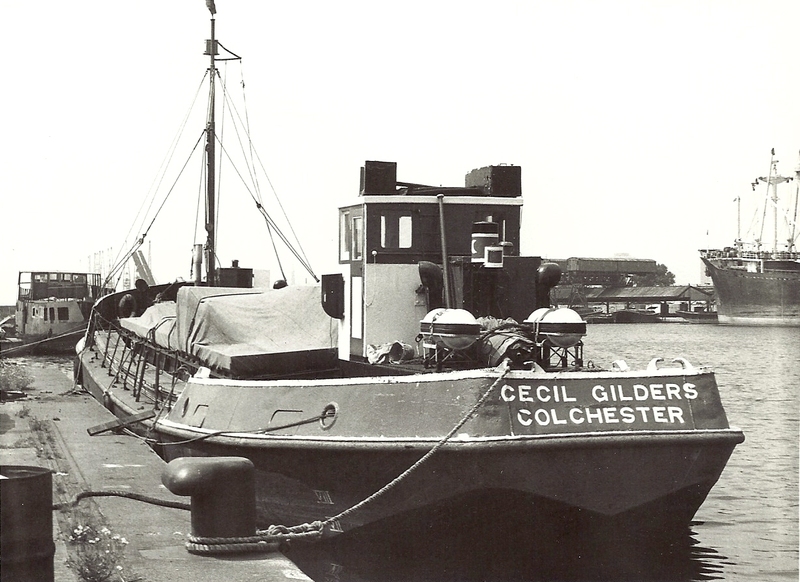 Built by James W Cook at Wivenhoe, she entered service in 1957 for Francis & Gilders, a firm that was taken over in the early 1960s by London & Rochester Trading (Crescent Shipping). 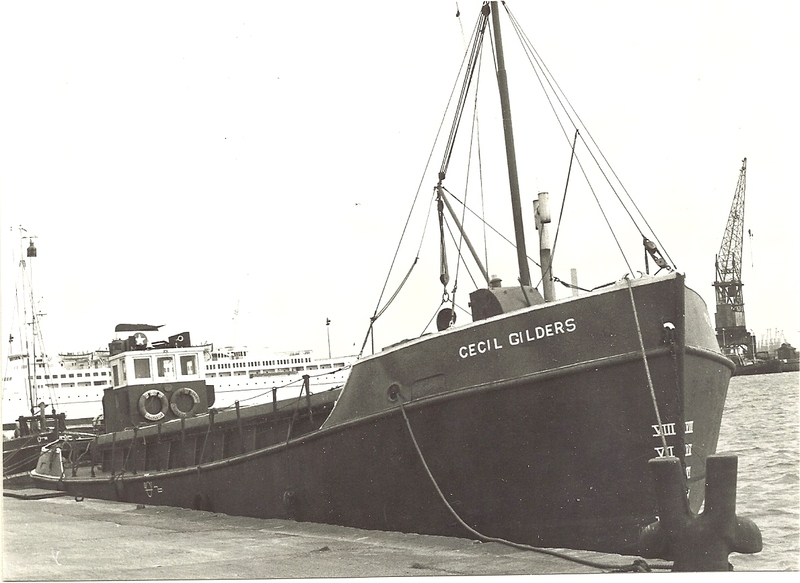 FRANCIS GILDERS was then of 137 tons gross, 224 deadweight. She was sold long ago by Crescent Shipping and has had a few owners over the years. She was acquired in 2003 by a company registered in Gibraltar and known as Harbour & Port General Services Ltd; she has also been owned by the similar sounding General Port Services Ltd (GPS) and it was that outfit’s intention to convert her to a cement carrier. It seems that under both of these owners she did little, if any, trading, and she does not appear to be “converted”. Looking a bit scruffy, but not too bad above the waterline, FRANCIS GILDERS is “up a creek” in Brentford, West London, according to the latest information I have, and might have changed hands again with the new owner having it in mind to convert her to a houseboat.